Holland Park Hotel offers comfortable accommodation at great value rates in a safe and quiet residential area of Shepherd's Bush in West London. 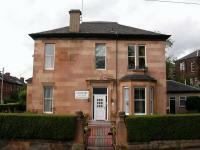 In Edinburgh's New Town area, 19th-century Eyre Guest House offers elegant town house accommodation and free Wi-Fi. Princes Street is within easy walking distance. There is a spacious guest lounge, with access to a DVD library and books. Dr Syns Guest House is a family run guest house offering tasteful and comfortable bed and breakfast accommodation in Kent. With an 'olde worlde' feel, Dr Syns Guest House in Kent is renowned for its delicious breakfasts. Evening meals are also available. 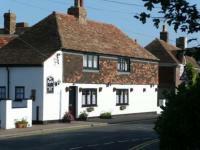 There are 4 bedrooms at Dr Syns Guest House in Kent, all en-suite and with a TV and Tea and Coffee making facilities. 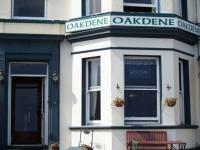 Set in a Victorian house in Portrush centre, Oakdene Guesthouse offers free parking, cooked breakfasts and free Wi-Fi. The hotel has stunning views to the Skerry Islands over Portrush Bay. 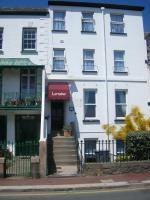 Lorraine Guest House in Jersey is a comfortable, family owned guest house 10 minutes walk to St Helier town centre. Conveniently located for the beach, Lido (open air swimming pool) and Promenade with its good choice of restaurants at Havre des Pas. From single to family rooms all with en-suite shower and toilet and some with sea views. Free Wi-Fi. Families and groups welcome. Child discounts available. 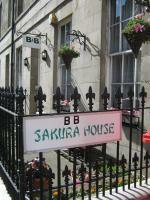 Near Edinburgh castle and the shopping districts, this friendly guest house has free Wi-Fi. The city centre and Edinburgh Waverley Rail Station are 1 mile away. The famous Arthur's Seat and Commonwealth Pool are a 5-minute walk. Opposite Hyde Park and 3 minutes' walk from Queensway Underground Station, the Latvian Guest House provides cosy rooms, a full English breakfast and easy access to Central London. Situated on Havre Des Pas' seafront, the family-run Maison Chaussey Guest House offers a bar, restaurant, and free Wi-Fi throughout. St Helier's town centre is just 10 minutes' walk away.